A few weeks ago, we took our first family vacation to the beach and it was honestly one of my all-time favorite trips we have ever taken. We stayed at Finest Playa Mujeres and loved our time there so much, we even changed our flights to extend our stay one more night! I honestly could’ve spent a good two weeks there and STILL not have been ready to go home! 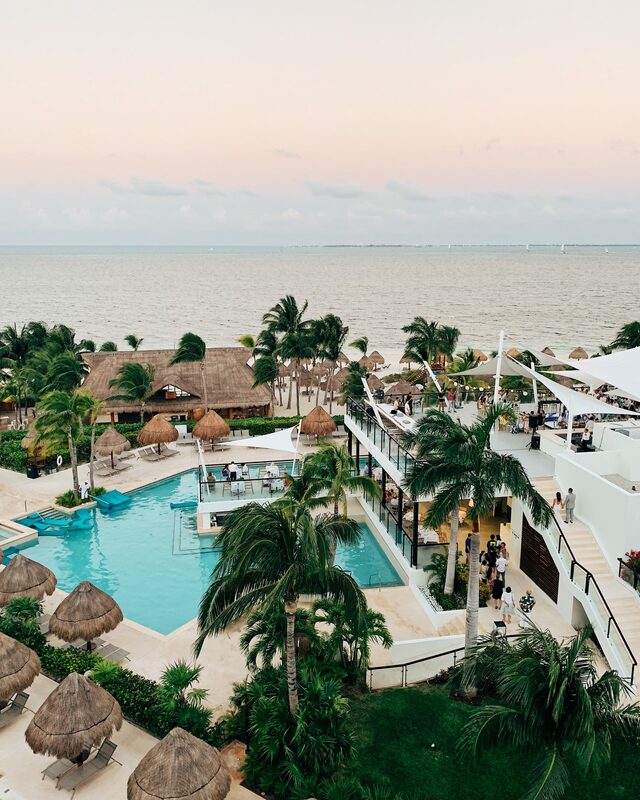 Today I want to share a Finest Playa Mujeres review with y’all : our fave restaurants there, why we loved the resort, as well as how we did a beach trip with a 4 month old! This hammock / pool was legitimately right outside of our room in the junior swim-up suite. Like, get out of bed, and just swim right up to your hammock kind of deal. SO amazing. I honestly don’t know which room we liked more between this one and the rooftop terrace. Both are SO amazing, especially with a baby. Shiloh LOVED being in the hammock with me too which was so fun! Y’all. I cannot say enough good things about the AMAZING service we had at Finest. the drinks you see pictured above were made specially for me and Michael and brought to our junior swim-up suite, just as a little surprise one morning! Our entire trip was filled with little surprises like this throughout our day, that just made the trip feel extra special! We also had to call maintenance for our room because the lights were motion-sensored. We needed those turned off bc we didn’t want to wake Shiloh up in the night or during nap times. They came and fixed this right away. Anytime we ordered room service it was delivered SO fast. All of the waiters + waitresses were so kind and friendly. 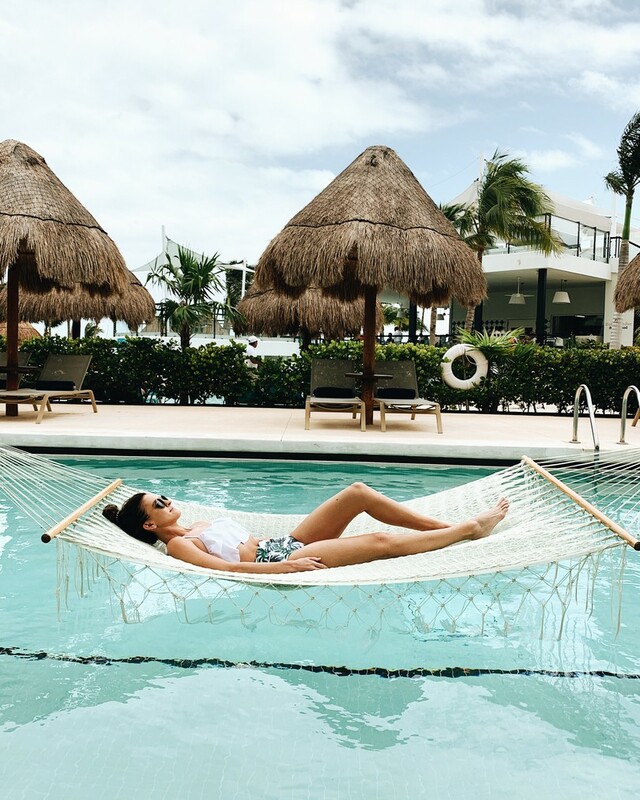 We’ve definitely stayed at a few resorts where housekeeping or maintenance can take forever (or never come), room service is awful, etc and it can definitely make or break your trip. The service we experienced from the staff at Finest was a 10 on a 10 honestly. I know when you typically think of an all-inclusive resort, you assume you’ll have to sacrifice great food for it to be “all-inclusive”. That is NOT the case though with Finest – or any of the Excellence resorts we’ve been to! 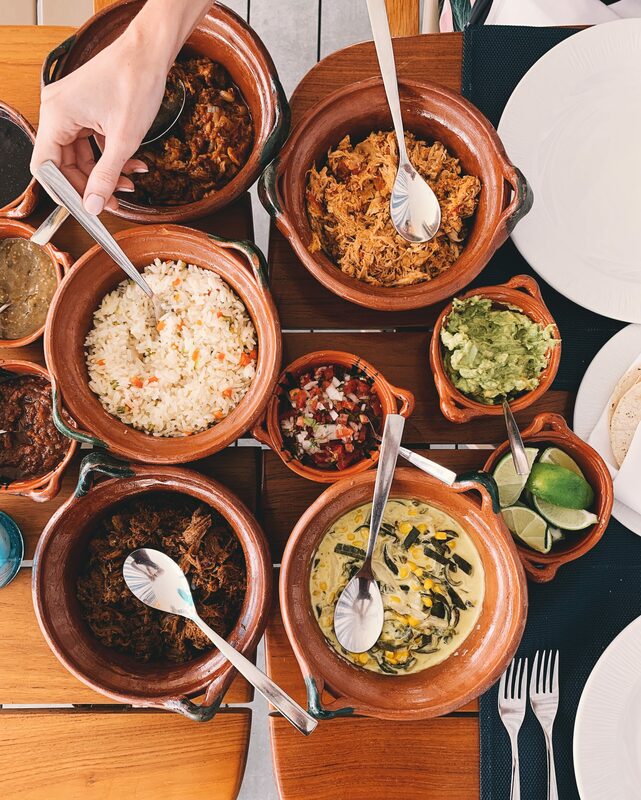 Finest has tons of amazing restaurants to choose from – ranging from fine dining at a Steakhouse, fresh seafood poolside lunches, an amazing breakfast buffet, hibachi dinner…and so much more. We felt like we needed two weeks here just to try out all of the different food options haha. Above you will see a special Mexican tasting they prepared for Michael and I by the pool one day and it was DELICIOUS. For breakfast, we did the breakfast buffet every morning. It was the easiest option with Shiloh and there were SO many options. For dinner, we did the steak & seafood restaurant one night, hibachi, mexican, lobster, and tapas (5 nights total). My personal favorite restaurant was the Mexican! They had the best margaritas and Michael and I loved every course we had there. Finest also has the cutest little cafe where you can go get yummy coffee drinks made, pastries…aaaand *drum roll* ICE CREAM ALL DAY! Haha I definitely took advantage of the Sweet Corner every single day! Not gonna lie, I was pretty nervous to bring Shiloh to Mexico for 5 days. Even though she’s a great traveler, she’s never really experienced warm temperatures, humidity, or the pool! Mexico is also 2 hours ahead of mountain standard time so I was worried how this would affect her schedule. I told Michael before the trip “let’s go into this with ZERO expectations. 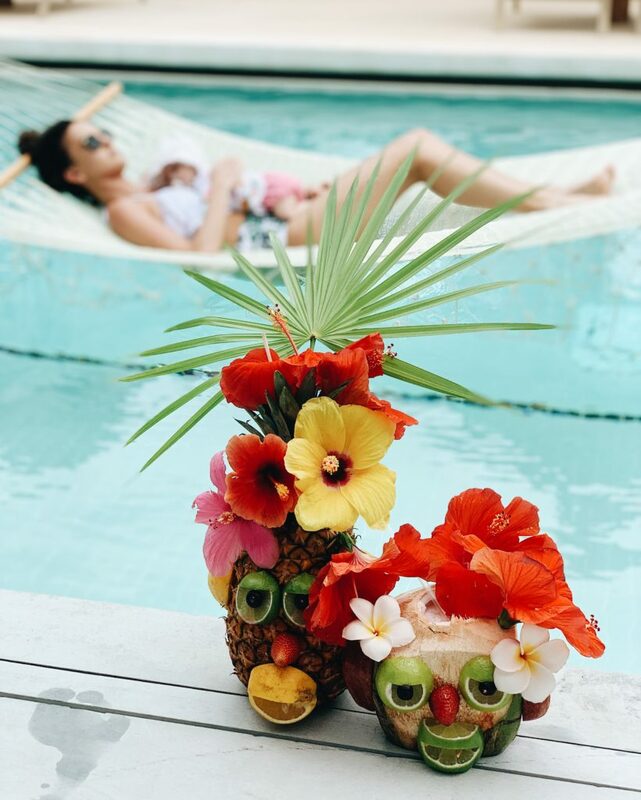 she might hate the sun, hate the pool…this might be a really hard trip.” I think going into a trip you’ve never done with a baby before with zero expectations is key. Having said that – Shiloh did GREAT! We kept her in the shade anytime she was outside, because babies under 6 months old shouldn’t wear sunscreen (according to our pediatrician). So we bought her this float, a few sunhats, and just kept her protected from the sun the whole time. 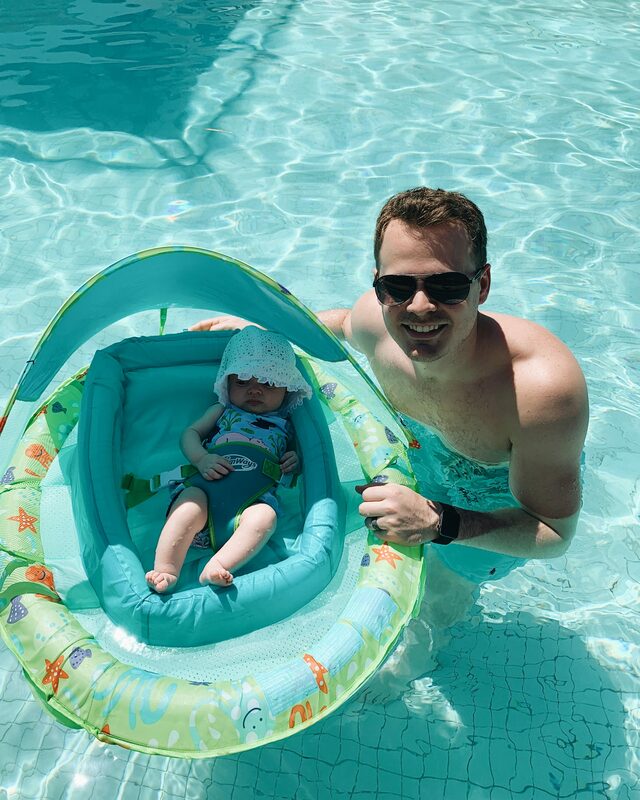 She loved floating in the pool, or swimming with me and Michael! I realize every baby is totally different so this might not be true for your baby. But just wanted y’all to know this was very doable for us with a 4 month old. Taking a Mexico trip with Shiloh was also super easy at Finest because they are a very kid-friendly all inclusive resort! Our room was set up with a baby bed, bottle warmer, sound machine, and lots of other baby necessities! I’ve never seen such a family friendly resort honestly. They also have tons of fun activities and areas if your baby is a little bit older, with tons of kid activities! I loved all of the DM’s you guys sent me during this trip saying that you stayed at Finest Playa Mujeres and it was one of your favorite trips EVER. We seriously had so much fun and I hope this is a trip we get to repeat every year! Let me know if I can answer any questions for y’all in the comments below! Thanks for reading! The resort looks amazing! I’m glad you all had a great time ! thanks andrea! it truly was paradise! My husband and I are currently sitting on our balcony at the Excellence Playa Mujeres (third trip). We have put off having babies because we don’t want to give up our vacations here. 🤣 Your review of Finest has given me some hope that we may be able to manage taking a little one and we won’t have to sacrifice experience. Were there tons of kids? Thanks for sharing your review! haha so glad this brought y’all some hope! you can totally still enjoy nice resorts with a baby. there weren’t tons of kids here when we went, but shiloh also wasn’t the only one either! Which finest would you recommend for a honeymoon?! Or where would you reccomend going on a honeymoon? aw that’s tough! finest is actually part of the excellence family, and I think any of the excellence resorts would make for a perfect honeymoon! if you search ‘excellence’ on the blog, you’ll see my posts about some of their other locations too. hope that helps! 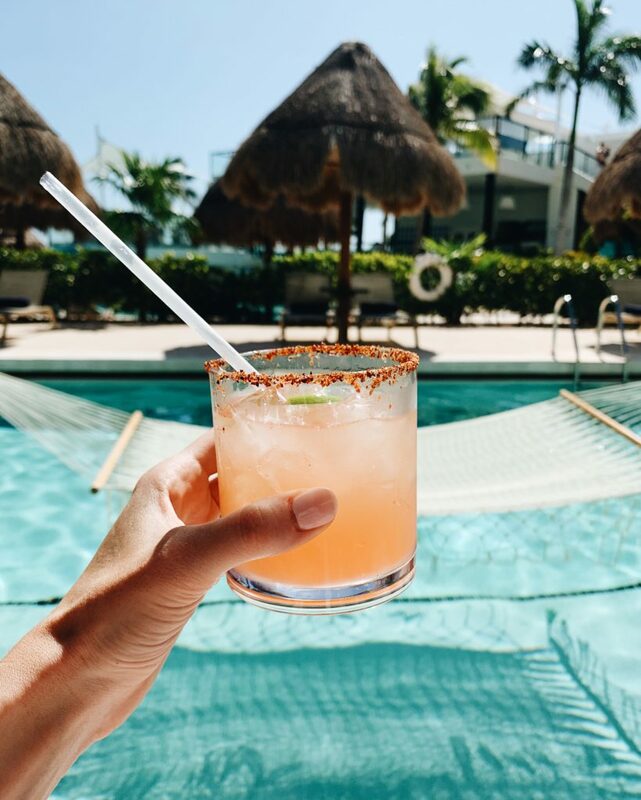 Have you been to the Excellence in Playa mujeres too? We are between that one and this resort for our honeymoon and wanted to get your perspective if you’d been to both!!! yes we love the excellence! if you search for ‘excellence’ on the blog, my post about that resort should come up! aw thanks girl! it was such a great trip. and that float is the best! I think we are going to book for our honeymoon! Do you have a promo code or anything? I never would have found it without seeing it on your feed! aw so excited for you!! no code, but y’all are going to love it! Will you do a post on baby travel essentials? We will be traveling to finest mujeres when my daughter is 10 months old! hi! yes, I have that info in my ‘traveling with a baby’ blog post. hope that helps!